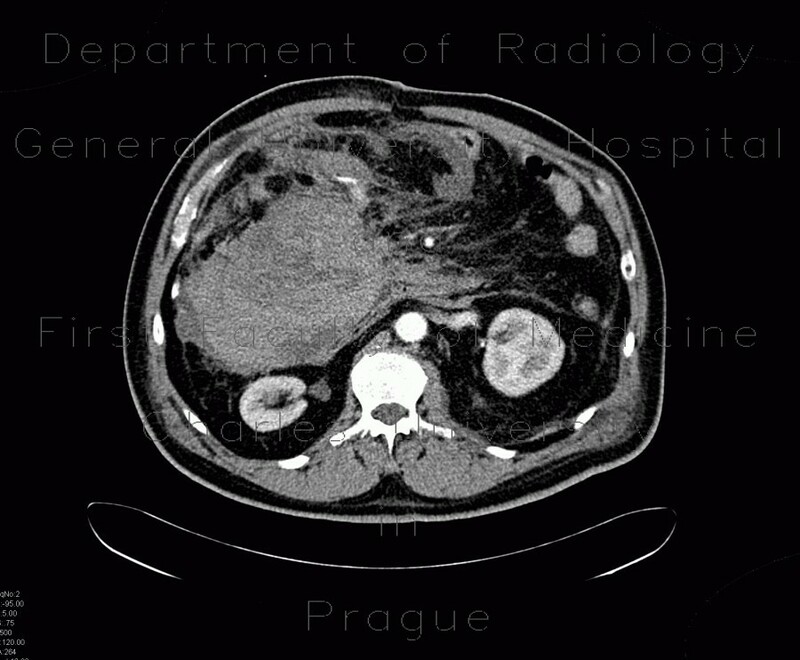 CT shows a gigantic retroperitoneal hematoma anteriorly to the right kidney. On a follow-up examination, the hematoma was evacuated and a drain was placed. Note also mild edema of small bowel loops, some of them have also stripe of fat density in their wall, which is attributed to past inflammation. Edema of subcutaneous fat (anasarca) and small amount of peritoneal fluid.